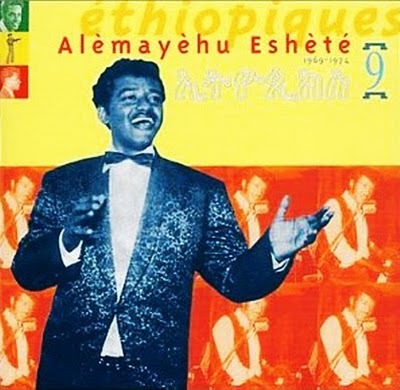 Alemayehu Eshete is an Ethiopian Ethio-jazz singer active since the 1960s who primarily sings in Amharic. Eshete's talent was recognized by colonel Rètta Dèmèqè who invited the young singer to perform with Addis Ababa's famous Police Orchestra. Eshete had his first hit ("Seul") in 1961 before moving on to found the orchestra Alèm-Girma Band with Girma Bèyènè. Over the course of 15 years, Eshete released some 30 singles until the arrival of the communist Derg junta, which forced Eshete and many other artists into exile. Alemayehu Eshete has since gained fame in Europe and the Americas with the release of Buda Musique's Ethiopiques series of compilations on compact disc. Ethiopiques Volume 9 is devoted entirely to recordings of Eshete's earlier music, and Volume 22 covers his career between 1972 and 1974. Other songs have also appeared on Volumes 3, 8, 10, and 13 or the series. In 2008 Eshete toured the United States with fellow Ethiopian singer Mahmoud Ahmed, backed by Boston's 10-piece Either/Orchestra. Thanks a lot. This is mind expanding music. i'm starting a new comp blog...more info soon..